For over 30 years, Slovenia’s Laibach have been providing their own brand of Kitsch Industrial art for the masses. It’s also been eight long years since their last studio album ‘Volk’, and as tongue in cheek as their work is, ‘Spectre’ provides an outlet that could be their most political to date. Laibach have always been more than their controversial jack-boots image let on. Arguments have been given that for all their meanderings about the NSK (Neue Slowenische Kunst) state they created, for the most part these have fallen at the feet of just being a promotional tool. With people divided as to the political leanings of the group that have formulated an image that sits between Fascist and Communist aesthetics, ‘Spectre’ blurs those lines somewhat and will leave doubts in the minds of those that thought it was all a joke. Musically, this latest opus will ultimately leave a lot of fans divided. The military stomping is kept to minimum as we are treated to a distinctly up to date and modernised Laibach; traces of DAF infiltrate this new formula in the shape of ‘Eat Liver!’ and ‘Bossanova’, whilst I couldn’t help imagining a nod to Yazoo on ‘Resistance is Futile’ (which is ultimately one of the better tracks on the album, with an incendiary chorus). 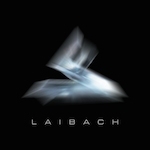 With a clean, crisp production and vocals that are firmly split between Fras and his latest female counterpart, never before have Laibach sounded more of a band that belongs on the Mute label. As usual with any Laibach release, you can’t help but marvel at the ludicrous arrangements they sometimes concoct. Opener, ‘The Whistleblowers’ is the least surprising of the tracks I would have expected on this album, regardless of the Colonel Bogey whistle and military percussion; but is no-less anything I wouldn’t have expected and is one of those memorable songs that you find yourself subconsciously whistling out loud at inopportune moments (for me in this case, at work). There are more than enough Industrial leanings on ‘Spectre’ to keep some of the die-hards happy as well; ‘Walk With Me’ and indeed ‘Eurovision’ are truly classic Laibach from start to finish and it’s all too easy to puff out your chest and chant “Europe is falling apart”, in a mock Fras dry vocal. On the subject of Fras’ voice, my only niggle with this release is that these could sit slightly lower in the mix; as sometimes they do feel as though there is a lethargic drawl to them rather than a necessary venom. All in all, ‘Spectre’ stands currently as one of my favourite releases of 2014. The multi-formats offer something for the collector; a standard CD with extra tracks, a vinyl/CD combo (where the CD would have benefitted from the inclusion the extra four outtakes of the standalone compact disc, but doesn’t) and a limited edition CD with a laminated 32-page International Party book (further emphasising just how strong their political leanings are foremost the impetus within the group circa 2014). For long term Laibach fans, as I have said before, it appears they’re divided; but for me, I can only utter the words: “We are Laibach; and we will assimilate you”. This entry was posted in Mute. Bookmark the permalink.